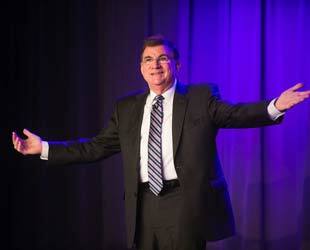 What Can A Keynote Do For You And Your Organization? As you begin to plan and organize a keynote address, you have a valuable opportunity in front of you. Learn how your keynote can enrich the value of your brand and expose the audience to creative and exciting ideas. Keynote speaker Mike Hourigan gestures to the audience Wednesday at the Gresham Area Chamber of Commerce’s Economic Summit held at East Hill Church in downtown Gresham. Today’s innovators aren’t just interested in finding companies that sell good quality products at competitive prices; they want to seek out partnerships with forward-thinking organizations that help expose them to new ideas and diversify their experiences. There are several ways to get your brand involved in thought leadership, including publishing blog post and whitepapers, but these strategies often require a significant marketing effort to attract eyeballs. By hiring an experienced, professional keynote speaker, you will immediately be able to expose your audience to new, value-added ideas in business theory that will be linked to your brand. Think back to when you were in school: the best classes were never either pure theory or non-stop practical experiments. They were the lessons that were based in theoretical concepts, and then used actual experiences as a way to bolster and enliven those abstract concepts. Effective keynote speakers accomplish the same principle, as they bring management concepts to life for the audience by connecting them to tangible business activities. The prospect of change looms over companies of all sizes and across all industries. It’s understood as necessary and inevitable, and yet it is still often feared. Employees across the board, whether they are data entry associates or CEOs, are always looking for strategies on how to effectively manage change. 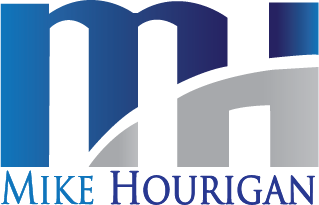 As a keynote speaker, Mike Hourigan specializes in teaching audiences about the realities and possibilities of change in business, and empowering them to make the best decisions for their organization. By booking Mike to deliver your keynote address, you can ensure that your attendees walk away from the presentation with knowledge and advice that will shape their companies for decades into the future. Mike Hourigan is a one of the best Keynote Speakers today and you can contact him by filling out the form below.